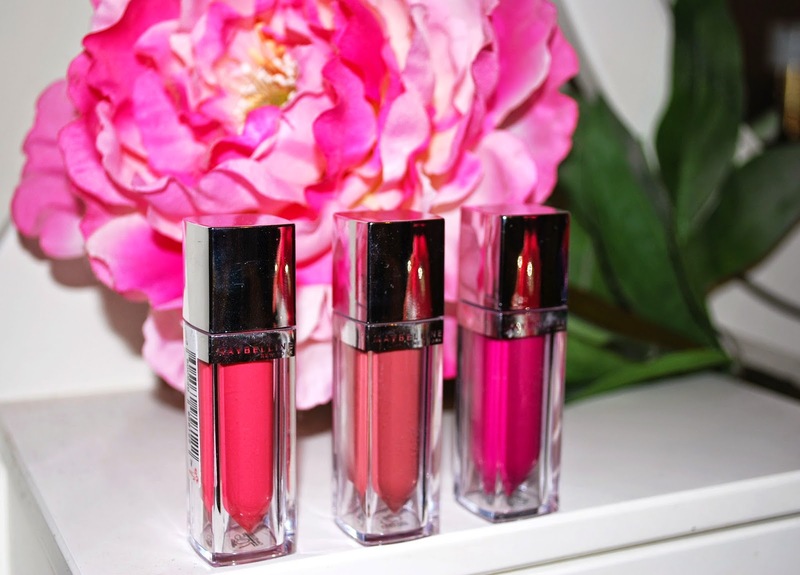 I recently came across these new Maybelline Colour Elixir lip products (£6.99) and thought I would pick up a few colours to try and also show you what they look like and my thoughts about them! 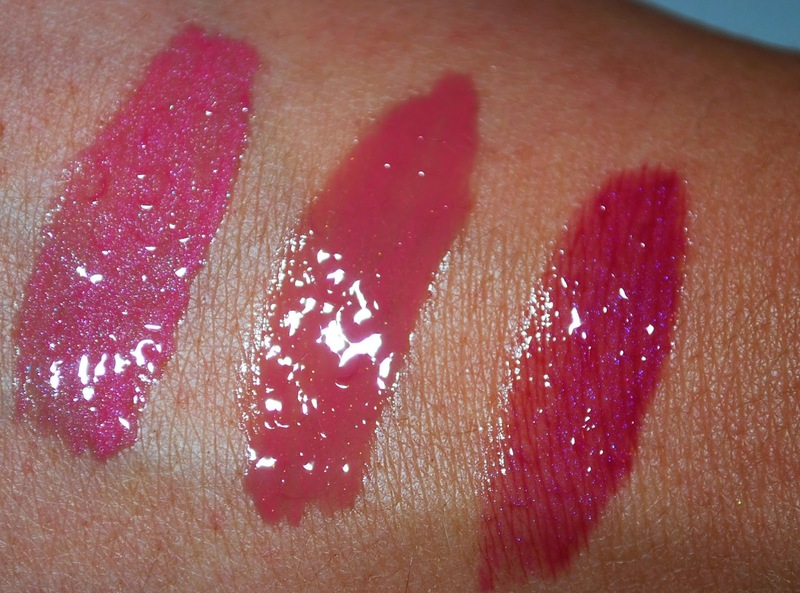 These are the swatches in the order of the picture above, you apply the product with a wand and as you can see they are VERY glossy. I have to be honest, I was a little disappointed in the colour pigment, they look so bright and bold in the packaging but they definitely don't come out that way, they are much more subtle, but nonetheless very pretty! The range has 10 different shades to choose from, the three I chose looked very different from the packaging, but shade 1 and 2, as you can see, look very similar to one another. The products on the lip look extremeley shiny and natural so you can get away with wearing them as an everyday product, which is really nice and just adds a little colour to your chosen look. The texture is my favourite part, because they look like a gloss I was worried they may feel sticky and uncomfortable on the lip, but they are far from that! It leaves your lips feeling moisturized and has a velvet smooth touch when applied, I was very impressed! Although I was originally disappointed with the colour pay off, as I thought they would have more of a lipstick effect and be longer lasting, I do really like the product! I have tried them on top of lipsticks or applied a lip liner as a base before applying this product and it looks and feels amazing. (I would definitely try this technique with these products) With a base, the product lasts much longer and gives a vibrant shiny look to the lip, so you can go from a natural look, to a bolder look for the evening! shade 1 and 2 are beautiful! !